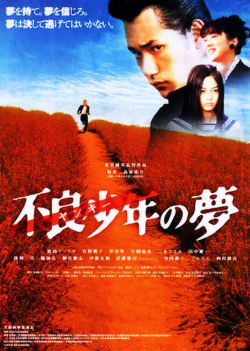 The juvenile delinquent, Yoshiie Hirouki (Kenichi Matsuyama) transferred to Kitahosi Institute, the one and only school which is admit dropping out student entire country. In here, he not only met friends who lived on as same environment as he was in the past, but also the adults including the teacher, Atachi, who give him kind attention with sincerity. Because of them, this true outsider of society's mind start to changed and decided to have dream that he want to be a teacher like Atachi.